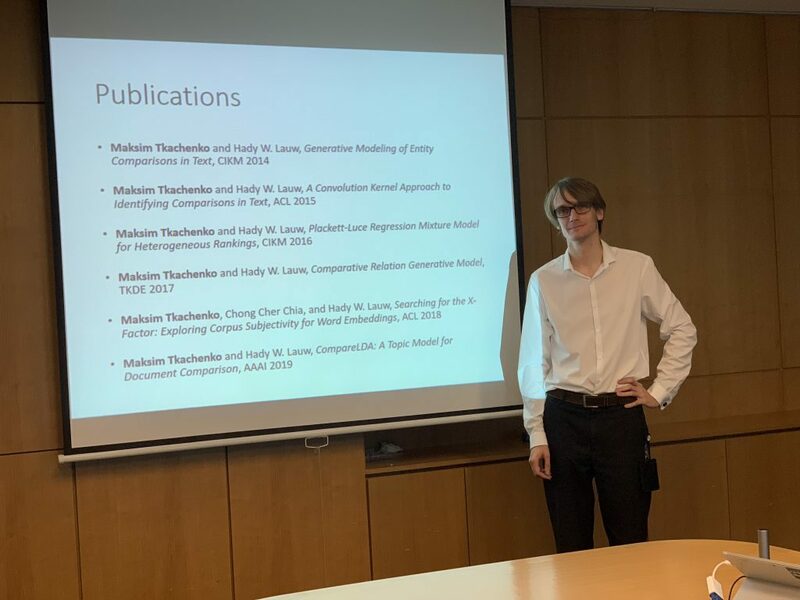 On 2 November 2018, Maksim defended his PhD dissertation entitled “Comparison Mining from Text” before the dissertation committee at SMU School of Information Systems. Comparison mining aims at understanding the opinion mining problem when multiple entities are present simultaneously. This includes, but is not limited to deriving similarities and differences between entities and discovering information about the entity relations. 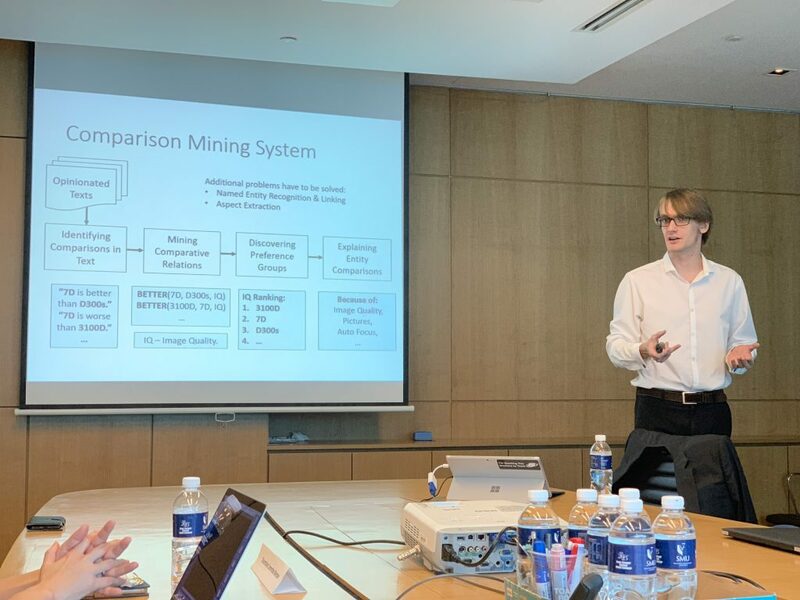 His dissertation aims at building a comparison mining system. The identification of comparisons in opinionated text serves as the basis for mining comparative relations in terms of which entity is preferred over another. In turn, these comparative relations may reveal several distinct preference groups, which may rank entities differently. Finally, by aligning topics discovered from text corpora to the comparisons, we can explain why some entities may be preferred. The dissertation chapters are all buttressed by publications in the top venues in natural language processing (ACL’15, ACL’18), text mining (CIKM’14, CIKM’16, TKDE’17), and artificial intelligence (AAAI’19). With such prolificness, no wonder he was awarded SMU Presidential Doctoral Fellowships twice in the consecutive years of 2017 and 2018. 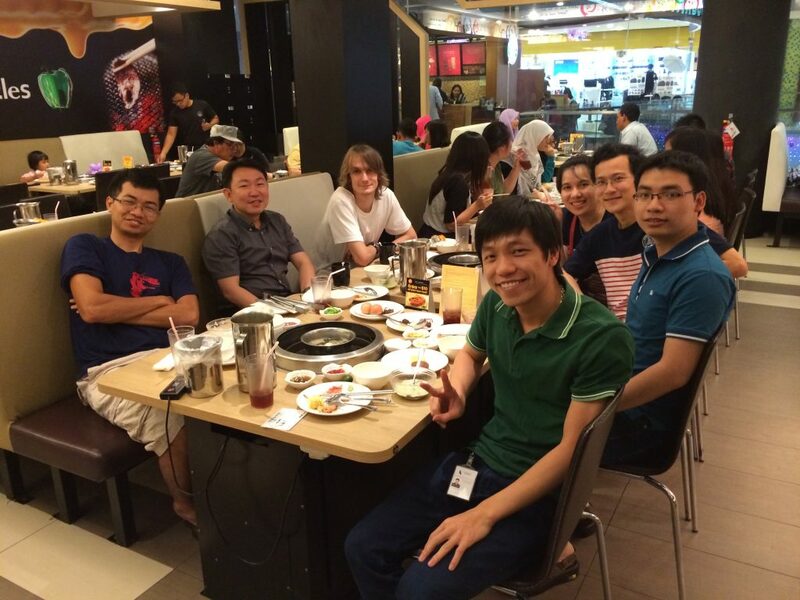 On a nostalgic note, it has been an amazing journey since he first joined the group as a research assistant in 2013. 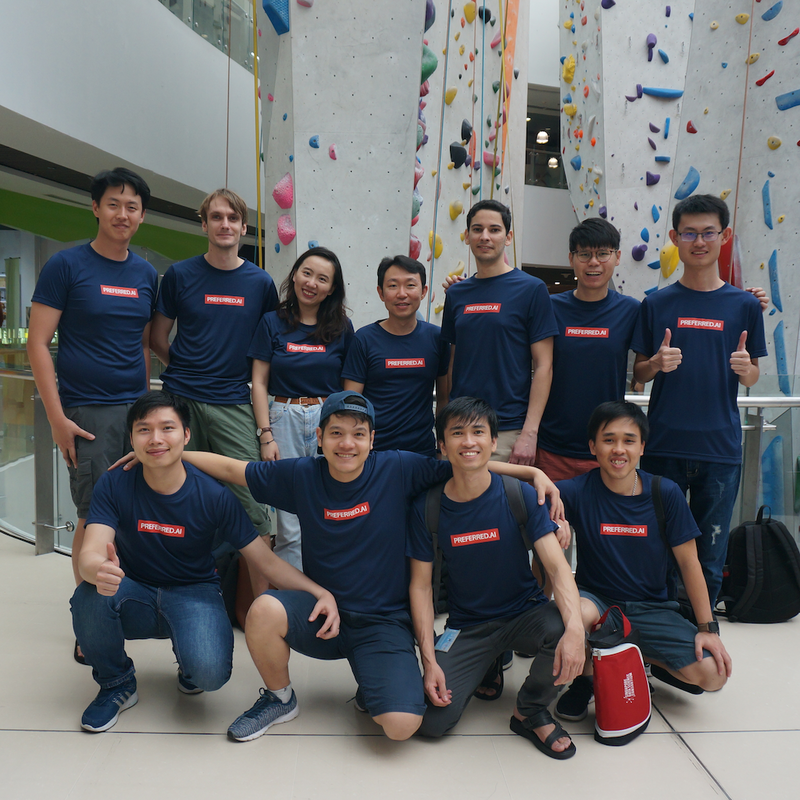 The journey’s twists and turns culminated in the PhD defense taking place in record time, less than 3.5 years since he was officially enrolled in the SMU PhD program. Conquering defense is a momentous victory that calls for a celebration. 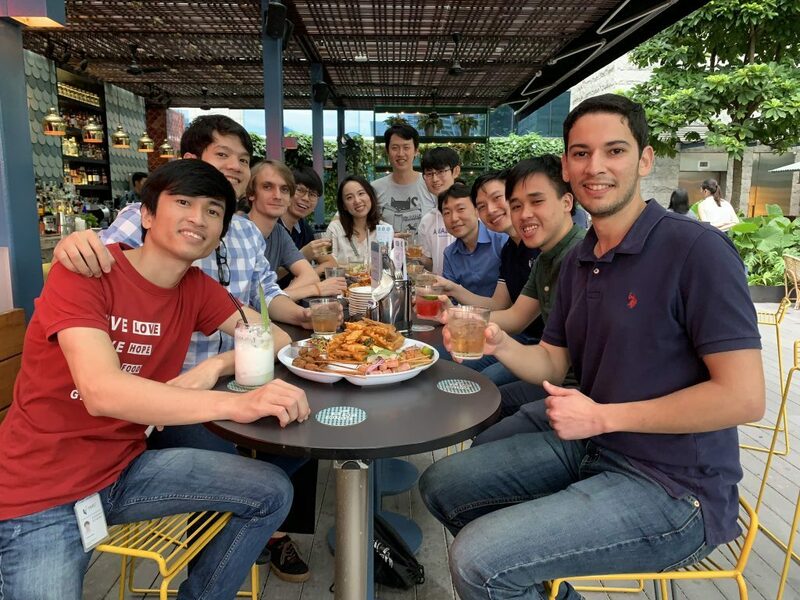 What better way to celebrate the setting of a high bar than going to a rooftop bar? Congratulations Maksim for a job well done! Next story Look at That Facial Expression!